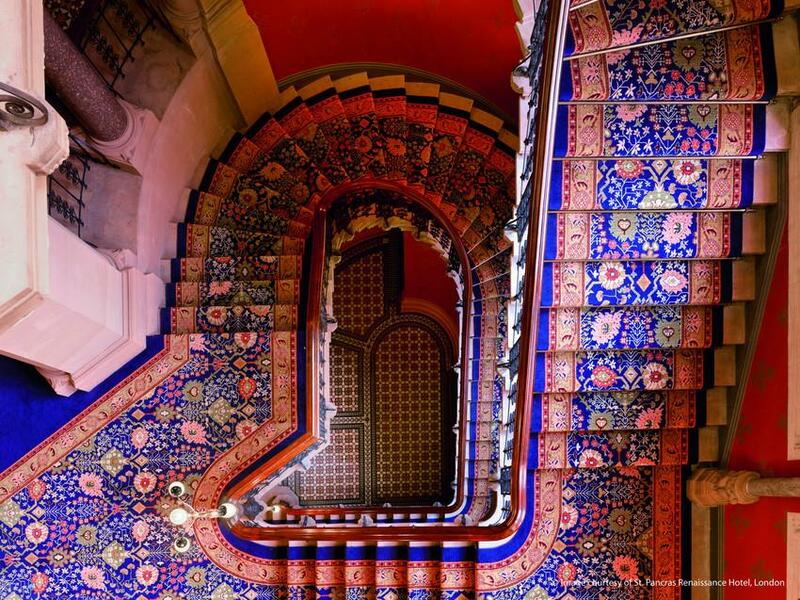 The Grand Midland Hotel at St Pancras Station in London once stood proudly as the most impressive hotel in London. 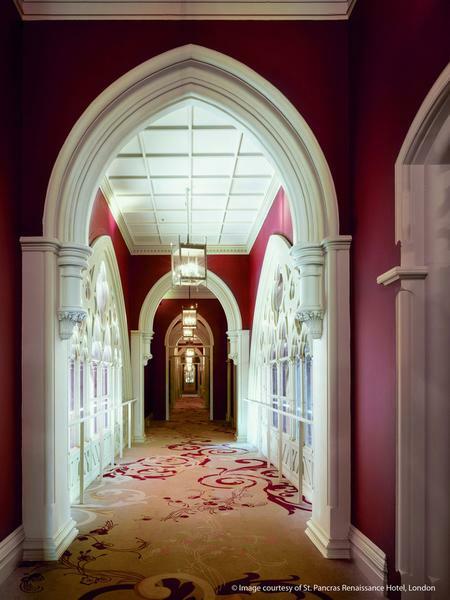 With spectacular Gothic-Revival architecture, the hotel set a new standard in luxury and comfort. 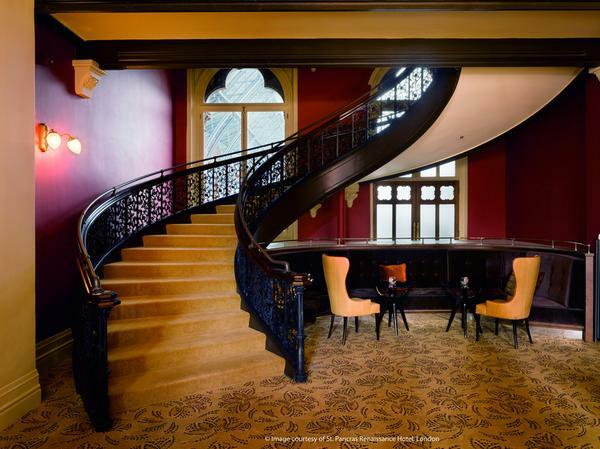 However, when the hotel closed its doors in 1935, it gradually fell into a state of disrepair. But when the Manhattan Loft Corporation decided to undertake a £150 million renovation of the building and re-open it as a 5-star Marriott hotel, the property entered a new and exciting phase in its life. 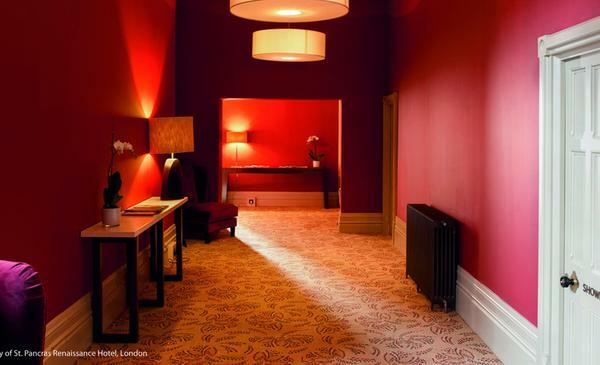 GA Design International, the appointed interior design firm, specified Brintons as the exclusive carpet supplier and it was officially commissioned to work on the prestigious project after winning a competitive tender. 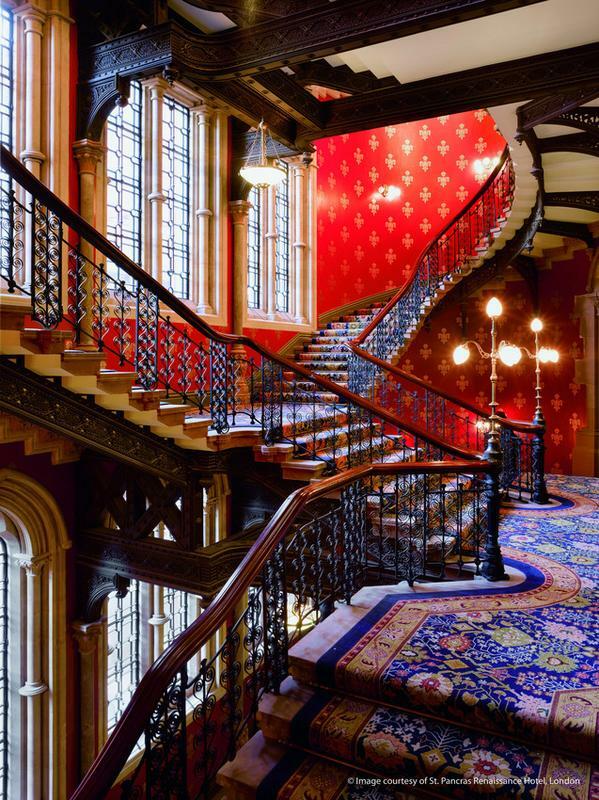 The Grand Staircase carpet design was developed using period design material from Brintons’ own carpet design archive in Kidderminster as inspiration. We work with Brintons regularly and have a good rapport with the company and its talented design team. 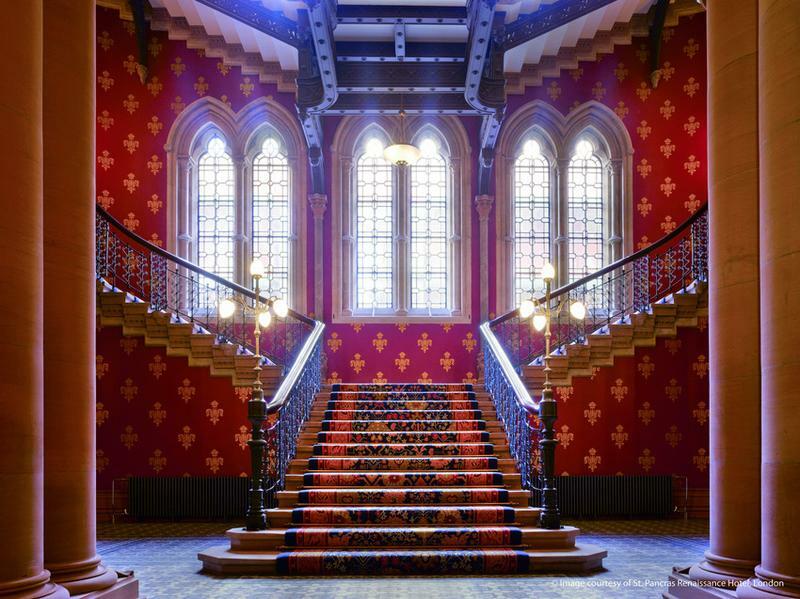 The carpets that Brintons supplied at the St Pancras Renaissance Hotel complement the interior design by GA and sit comfortably with the highly decorative nature of this listed building.